Warmly welcome to the gala concert which will be presented in the sports hall of The Alojzij Šuštar Primary School in St. Stanislav’s Institution /Štula 23, Ljubljana/ on 4th February 2019 commencing at 7.00 pm. The concert will feature St. Stanislav Girls’ Choir of The Diocesan Classical Gymnasium, its conductor Helena Fojkar Zupančič and some prominent guests: Marta Močnik Pirc, Ana Benedik, Manca Malovrh, Tine Bec, Tilen Lotrič along with the orchestra Simfonija 23 under the baton of Jera Petriček Hrastnik and assisstant Matija Krečič . This a fundraising concert in aid of St. Stanislav Girls’ Choir of The Diocesan Classical Gymnasium, who is to perform at the 2019 America Choral Directors Association National Conference in February 2019 in Kansas City, Missuri, USA. This event brings together choirs, choral musicians, composers and publishers form the entire world. 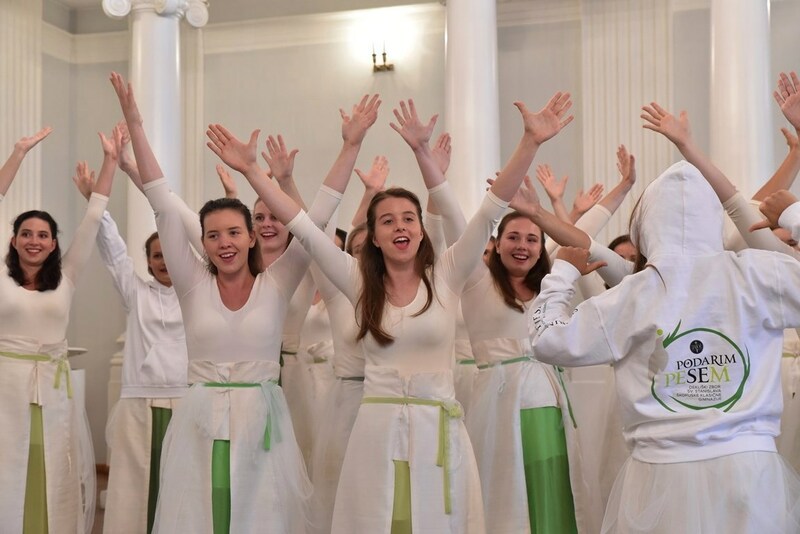 St. Stanislav Girls’ Choir is the only European choir to perform there, along with 50+ choirs from the US, 4 honor choirs and 11 iconic conductors. Tickets (to buy call Tina Tandler at +386(0)1 58 22 245) are limited due to the capacity of the venue, and are expected to sell out – so book early to avoid disappointment! Please consider attending the Gala Concert when forming your itinerary. Make a plan to be with us and support St. Stanislav Girls’ Choir of the DCG in their artistic endeavours.